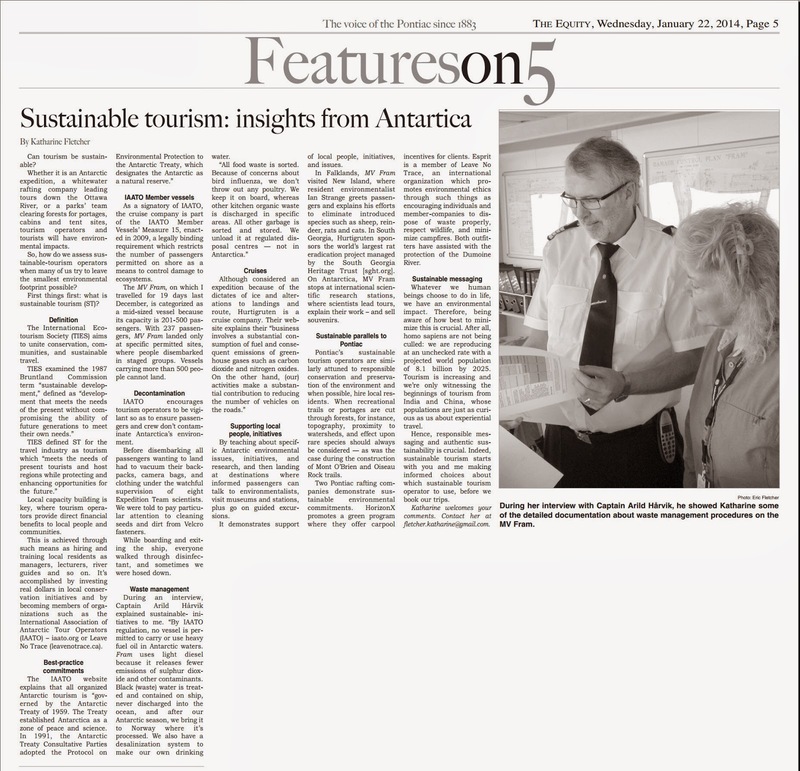 Whether it is an Antarctic expedition, a whitewater rafting company leading tours down the Ottawa River, or a parks’ team clearing forests for portages, cabins and tent sites, tourism operators and tourists will have environmental impacts. So, how do we assess sustainable- tourism operators when many of us try to leave the smallest environmental footprint possible? The Equity, January 22, 2014. Click here or on the thumbnail to read a scanned version of the full article.